One day, approximately four years ago, this writer popped into a WH Smiths before a long train journey, to pick up the customary form of entertainment for such an occasion; ‘FourFourTwo’ magazine. Unfortunately it was sold out and one had to make do with the lesser known, Europe-based, ‘Champions’. Contained within was a brilliant article that has stayed with this writer ever since. Francesco Totti had recently picked up the European golden boot playing in Luciano Spalletti’s Roma team that was nothing short of revolutionary. As we will go on to discover, Totti’s employment as a false nine in that 4-6-0 formation was not entirely original. But it did mark the invention of both these tactics as we know them and no doubt influenced the current wave of teams playing with merely a deep-lying forward to lead their line. 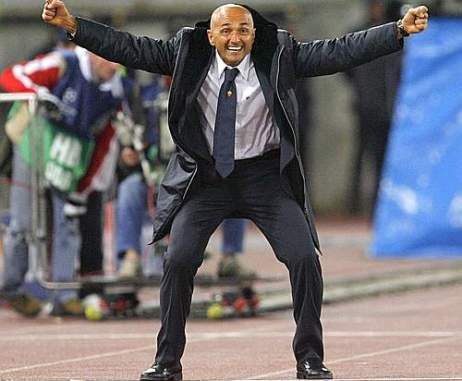 However, Spalletti’s multi-trophy winning side were not the first. The Austrian ‘Wunderteam’ of the 1930s found success largely thanks to the fragile genius, the ‘paper man’, also known as ‘the Mozart of Football’; Matthias Sindeler. His two nicknames tell you all you need to know about his playing style and should hint at why he is considered the original false nine. His movement back into the midfield baffled pre-war oppositions. More famously, or perhaps infamously as far as England are concerned, are the Magnificent Magyars of the 1950s. Ferenc Puskas was the golden boy of that team but credit for their 6-3 Wembley romp must go to manager Gusztav Sebes and his devastating false nine, Nandor Hidegkuti. 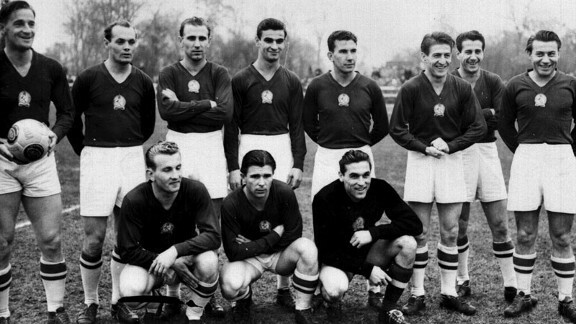 Puskas described the Hungarians style of play with beautiful simplicity; ‘when we attacked, everyone attacked, and in defence it was the same’. He went on to claim;‘We were the prototype for Total Football’. Sebes had bucked the current trend by employing a 5-5-0 set up as opposed to the much favoured WM formation and this worked in no small part to Hidegkuti’s wonderful ability to drop in and attack from deep (he scored a hat-trick on that fateful day in 1953). Between then and Roma of 2006/07/08 there were half-hearted attempts at playing a similar system, Romania in ’94 for example, but really it wasn’t until an injury crisis struck the Italian club, that a recognised false nine was used to great success. So how did it work? Putting it simply, Totti would drop deep and pick up the ball, Mirko Vucinic and Mancini on either wing, along with Simone Perrotta and David Pizarro from the middle, would bomb on in attack, often joined by the full-backs, and the talismanic false nine would create an attack. In true false nine fashion, he would also be there at the end to finish the move and score the goals himself. No doubt in that sentence the risks are made blatantly obvious. Is this not too kamikaze? The answer is, it worked for two reasons, Totti’s technical brilliance in keeping the ball and distributing it, usually to the wingers, and because Danielle De Rossi held position in front of the back four so commandingly. But another answer could be that it was too attacking, and the 7-1 drubbing by Manchester United in April 2007 is evidence enough. There are multiple other elements required for this system to work. One of which is attacking wide men who are competent in front of goal. For Totti it was Vucinic, for the United team of 2008, Wayne Rooney and Cristiano Ronaldo supported Carlos Tevez in this way and if you look at Barcelona, the archetypal 4-6-0 team, they use (when fit) the prolific David Villa cutting in from the left to support Lionel Messi. Also needed for a team to attack with 5 players, is a holding midfielder. Be it De Rossi, or Owen Hargreaves or Sergio Busquets, this player is crucial. What is absolutely essential, and this writer believes this to be a big reason why a false nine is not employed more commonly, is an incredibly able, technical, passing midfield. And of course the current Spain and Barcelona teams provide us with the perfect examples of this. A false nine, played in a 4-6-0 formation, is not a set up for lightning quick, counter attacking football (this is why it is questionable whether United have ever fallen into this category). This system is based on a team’s ability to keep possession. This is how these two great teams play. It is so much easier for a striker that drops deep, when he has a tradition number 9 playing on the last man to put him in behind the back four with flicks and acute through-balls. And you see boys at school boy level doing this with success. But when the midfield is good enough, as good as Xavi and Iniesta, then the service is there for the false nine to get chances. This highlights why Craig Levein’s attempt at playing this formation with Scotland failed; Darren Fletcher, James Morrison, and Graham Dorrans just weren’t up to it. So how does the false nine fit in? They are the player who essentially has the most freedom. Unlike a Xabi Alonso or a Xavi, this player, for example Messi, is allowed to dribble with the ball if they wish, and they are expected to make runs in behind the defence and gamble in the box when the ball comes in from the wings. This freedom is why they are different from an attacking midfielder and it is why they score the goals for their team. Messi is the ultimate false nine and the best there is. It is a testament to his ability in this role that Guardiola was willing to let great goal-scorers, like Samuel Eto’o and Zlatan Ibrahimovic, leave. What makes the false nine so hard to defend against is his vertical movement. The centre back is left with a decision as to whether they should follow the man into the midfield, isolating his partner, or leave him to the midfielders and run the risk of him finding space to turn and attack the back four head on. There are two tactical options, and this article is not the place for in depth analysis of them but a brief overview is appropriate. The defending team can play a high defensive line, cramping the space of the team that intend to keep possession and ensuring the false nine is never far from an opposition player. However teams that play with a false nine have pace in the forward line so you are susceptible to the ball in behind and it is also very difficult to retain possession if you win the ball in that cramped environment. The other option is to take Chelsea’s approach and have a strict defensive line that is deeper, well organised and willing to soak up the pressure. The problem with this is you are guaranteed to spend huge parts of the game under pressure, and when you win the ball back, a hopeful long ball often seems like the only way to make it the 80 yards up the pitch to the opponent’s goal. There is clearly no easy solution, but there are a few things a team can do that will be effective in nullifying this threat. By ensuring that your wide midfielders drop back they can relieve the pressure on the centre-backs, who can now deal with the false nine fearlessly. If pressure on the ball is provided by the midfield, the back four can concentrate on holding a solid shape that is, in theory, impenetrable by through-balls. It is extremely tempting to instruct your centre back to follow the false nine religiously if he drops in. By preventing him from turning and running at your defence, you are restricting him to useless flick ons. But a good false nine will exploit this and pull his marker all over the pitch, dangerously out of position. Far more effective is an extremely organised system of communication between the centre backs and centre midfielders who pass responsibility for marking the false nine between one another. This way he should always be kept under control, without distorting the defensive shape. In theory. If you do hold a team like Barcelona at bay, you still have to score. Putting it simply, the best way of attacking a team playing a false nine system is on the break. Both Arsenal and Chelsea have shown that is can be done with reasonable success. So what does the future hold for the false nine? The spread in popularity of playing someone in this position depends on whether they can be used effectively in a range of systems. The 4-6-0 is simply too difficult. It requires two goal-scoring wide men, two ball playing midfielders of extraordinary technical ability, a top-notch holding midfielder and a false nine with the attributes described above. This writer believes the future lies with a slightly different system. The way Fernando Torres plays for Spain and Chelsea seems more likely to be replicated. He drops in when necessary, drifts wide at times, but can also make runs in behind and get on the end of crosses. With Oscar and Eden Hazard roaming free in attack, Torres’ movement has to be flexible and improvised. Most would say Chelsea play a 4-3-3 and Vincent Del Bosque always claimed that was the formation Spain were playing this summer, so teams needn’t start learning to play like Barca’s 4-6-0. As a number nine, Torres is no Messi, but he’s certainly no Alan Shearer. To call him a false nine would be a misnomer, it is more like playing a traditional number ten, without a traditional number nine alongside him… Robin van Persie and even Luis Suarez could be said to play in this style for their teams this season. Confused? I’m not surprised. Maybe we should just stick Andy Carroll upfront and play long ball. 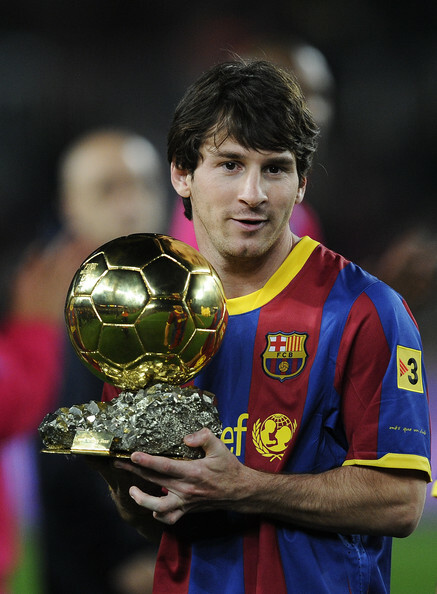 Lionel Messi scored 73 goals last season; he was awe-inspiring to watch and excited football fans the world over. 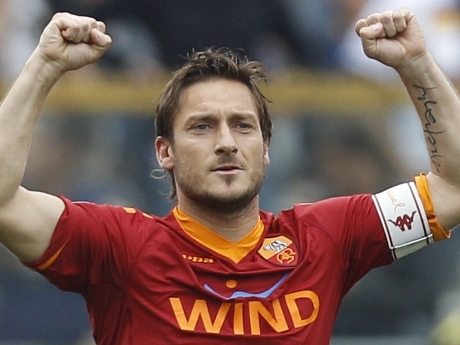 So thank you Luciano Spalleti and thank you Franceso Totti. Thank you Matthias Sindeler, Gusztav Sebes and Nandor Hidegkuti. Because in playgrounds and parks and on the streets and beaches the world over, kids are attempting to practice and learn the way of the false nine. And this is all thanks to the pioneers of this tactic, which may just revolutionise football and fill our leagues with Messis in years to come. I sure hope so. This entry was posted in Tactics and tagged alan shearer, andres iniesta, andy carroll, arsenal, barcelona, carlos tevez, chelsea, craig levein, cristiano ronaldo, danielle de rossi, darren fletcher, david pizarro, david villa, eden hazard, false nine, ferenc puskas, fernando torres, francesco totti, gusztav sebes, hungary, luciano spalletti, luis suarez, manchester united, mancini, matthias sindelar, mirko vucinic, nandor hidegkuti, oscar, owen hargreaves, robin van persie, roma, samuel eto'o, sergio busquets, simone perrotta, spain, vincent del bosque, wayne rooney, xabi alonso, xavi, zlatan ibrahimovic by Michael David. Bookmark the permalink. Pingback: A klasszikus és a hamis kilences | Ki a jobb?